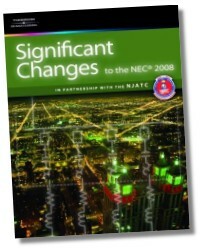 Significant Changes to the NEC® 2008 Ed. The National Electrical Code® is the most widely recognized and accepted electrical standard in the world. Every three years the NEC® is updated to reflect the newest installation practices utilized by the electrical industry, bringing about hundreds of changes to the code. 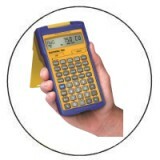 Significant Changes to the NEC® – 2008 Edition aims to identify and analyze those changes in a way that cuts through the maze of jargon to hone in on key updates that will affect electrical installations. For maximum comprehension, the book is arranged to follow the general layout of the NEC®. Each change is also accompanied by an illustration, as well as background information and a discussion of the significance of the change. 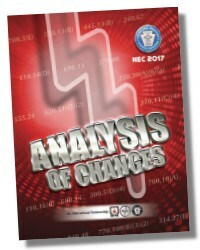 As the most comprehensive code change book on the market, this resource will prove invaluable to electricians, electrical contractors, electrical inspectors, electrical engineers, and anyone who needs to understand the most important updates in the NEC® 2008. NJATC develops and standardizes training for National Electrical Contractors Association and the International Brotherhood of Electrical Workers, which represents more than 780,000 members working in a wide variety of fields around North America.